Litigation involving the Americans with Disabilities Act (ADA) is one of the most significant fields of discrimination-based litigation facing business and government entities today. The Americans with Disabilities Act Handbook provides comprehensive coverage of the ADA's employment, commercial facilities, and public accommodations provisions as well as coverage of the transportation, communication, and federal, local, and state government requirements. In this comprehensive two-volume set, you'll get a complete analysis of the Act and all the forms and case law you'll need to prepare your case. 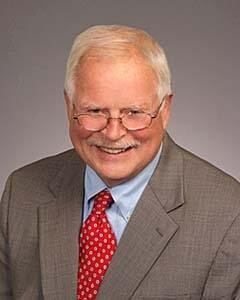 Recognized ADA authority Henry H. Perritt, Jr., clearly defines statutory and regulatory requirements for public and private employers, commercial facilities and places of public accommodation. 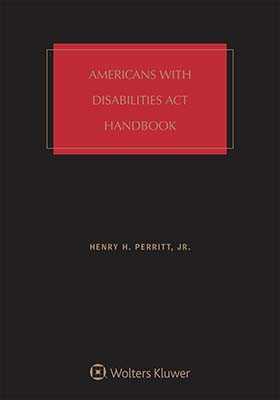 From in-depth analysis of the statutory definition of disability to practical guidance on all aspects of ADA litigation from complaint through jury instructions, Americans with Disabilities Act Handbook provides the full range of information you need to evaluate and litigate an ADA case successfully. The complete analysis of the rapidly expanding case law is organized by frequently litigated topics, like wheelchair access and AIDS discrimination. In-depth analysis is provided for the numerous federal and state cases and significant regulatory activity by the EEOC cropping up each year. You'll also get thorough analysis of how the Rehabilitation Act of 1973 relates to ADA. The statutory definition of disability and the concept of being "otherwise qualified" for a job are also discussed in-depth. And you'll see exactly what employers, business owners, and providers of governmental services must do to make "reasonable accommodation." Plus, a comprehensive section that organizes case law by type of physical and mental impairment and accommodation by type of job requirement is provided, making analysis easier. 3. WHAT IS A STATUTORY DISABILITY?